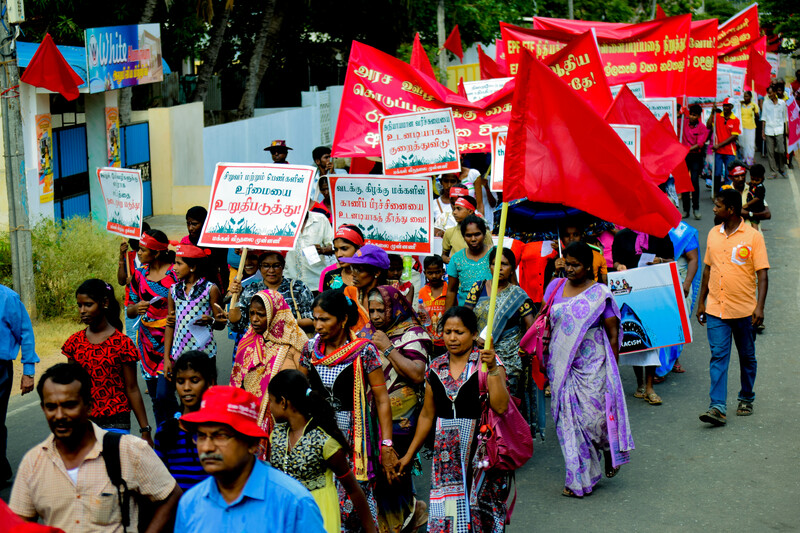 The May Day demonstration organized by the JVP and several other organization in Jaffna to commemorate the International Workers’ Day commenced from Jaffna Railway Station today (39th). 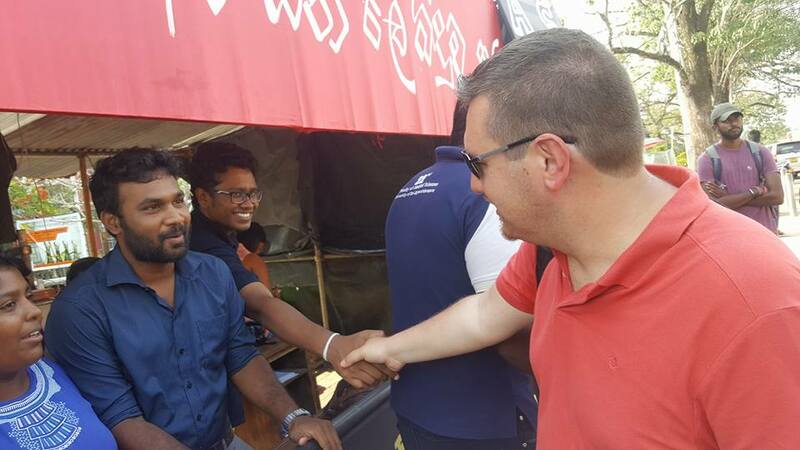 The rally held at Mutraveli Grounds in Jaffna at 3.00 p.m. 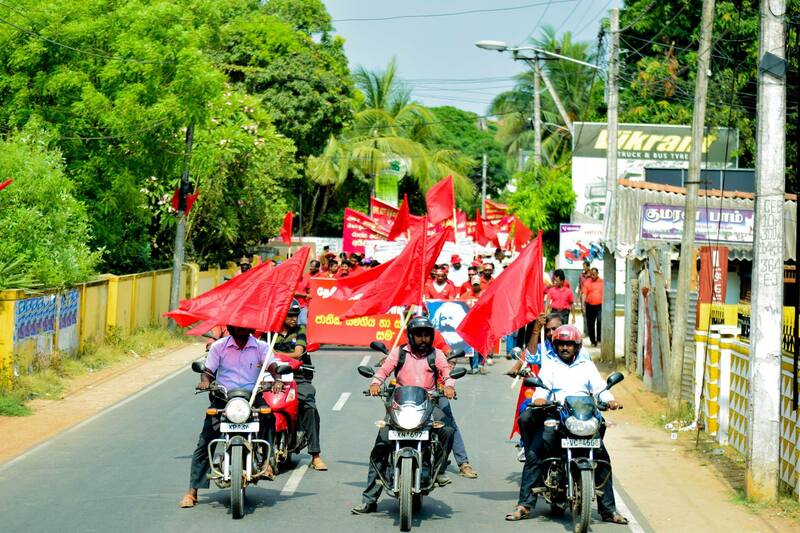 The rally and the demonstration held under the theme “Socialism for National Unity and Equality’ was participated by the Leader of the JVP Anura Dissanayaka, the Naational Organizer of the JVP Bimal Rathnayaka, the Member of the Political Bureau Sunil Handunneththi, Jaffna District JVP Organizer Ramalingam Chandrasekar, Renowned Writer Anthony Jeewa, Artist Deeepani Silva, former Cuban Ambassador to India and Member of the International Department of the Communist Party of Cuba Abelardo Rafael Cueto Sosa, Member of UK Communist Party Sammy Ibrahem, the Secretary of the Kerala Branch of All India Forward Bloc and its Central Committee Member Mr. V. Ram Mohan and the Secretary of the Central Committee of All India Forward Bloc and Member of its International Committee Mr. D. Devarajah. Members of fishermen’s organization, farmers’ organizations and university dons were also among the crowd that joined the demonstration. 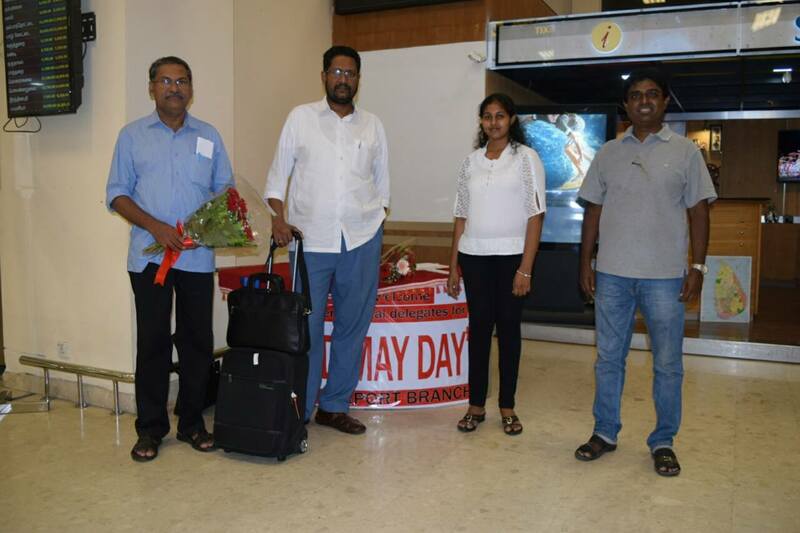 Three more foreign delegates who participate in the ‘Red May Day’ rally and demonstration organized by the JVP arrived in Sri Lanka today (30th). 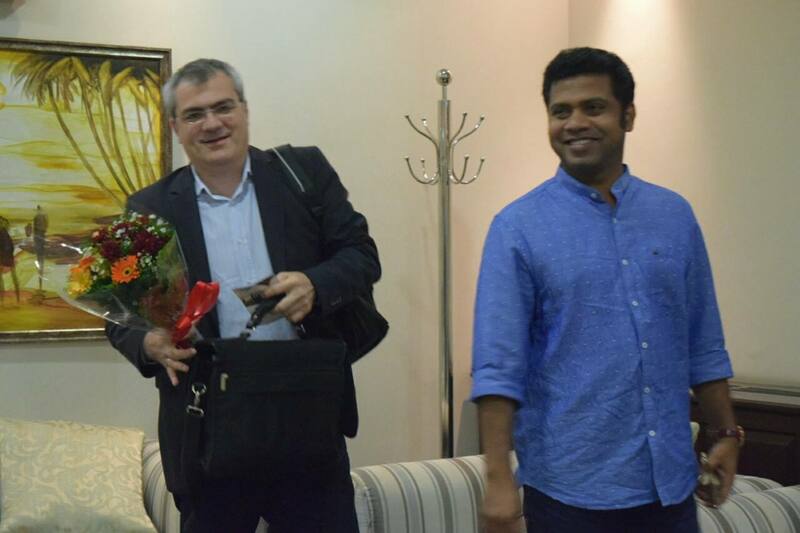 The Member of the Central Committee of the Communist Party of Greece and Member of the European Parliament Mr. Konstantinos.Papadakis, the Secretary of the Kerala Branch of All India Forward Bloc and its Central Committee Member Mr. V. Ram Mohan and the Secretary of the Central Committee of All India Forward Bloc and Member of its International Committee Mr. D. Devarajah were welcomed by the Member of the Central Committee of the JVP Parliamentarian Dr. Nalinda Jayatissa and Members of Inter Company Employees Union Ajantha Panditherathna and B.M.W.S. Madawala. 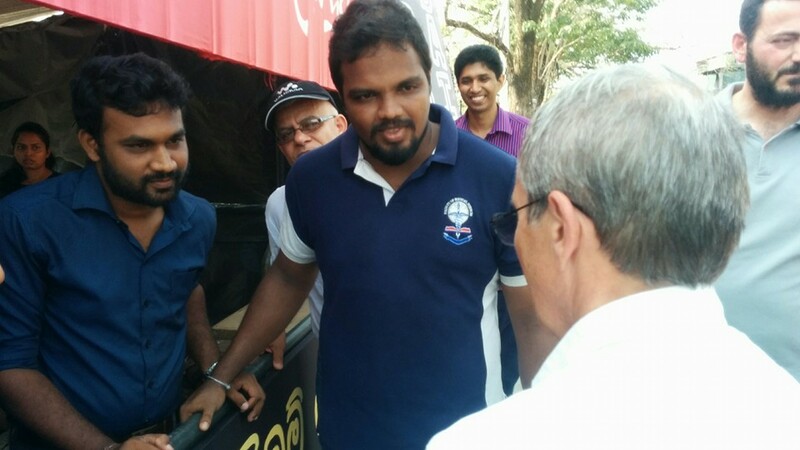 Representatives of foreign organizations who had arrived in Sri Lanka to participate in the JVP rally and the demonstration yesterday (29th) visited the temporary shed put up by the Medical Students of Sri Jayawardenepura University to engage in the ‘Sathyagraha’ campaign they are carrying out to demand the government to abolish SAITM illegal institute at Malabe that sells medical degrees. 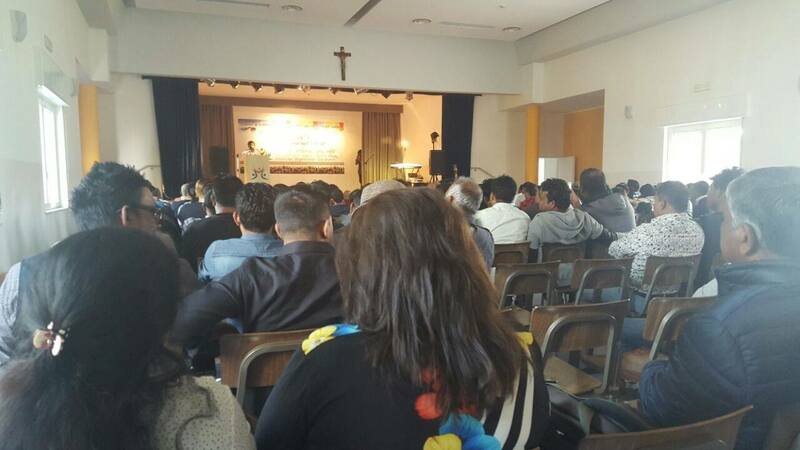 The foreign delegates expressed their solidarity with the campaign to save free education. 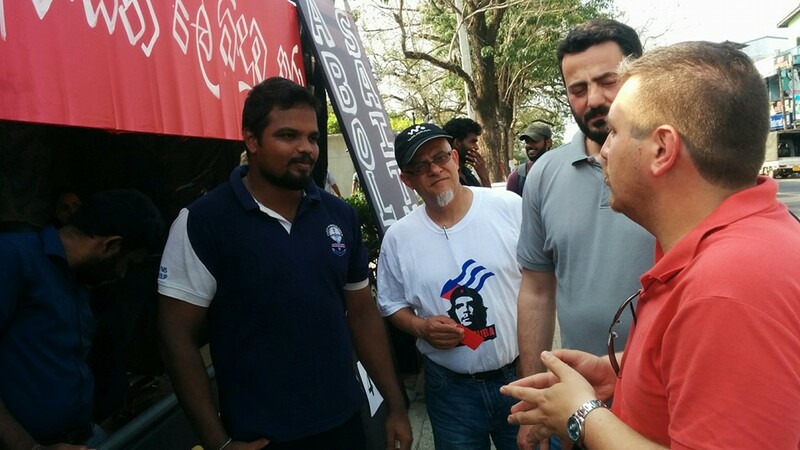 Among the delegates who visited the students engaged in the campaign were former Cuban Ambassador to India and Member of the International Department of the Communist Party of Cuba Abelardo Rafael Cueto Sosa, Member of UK Communist Party Sammy Ibrahem, Vaselios Slomadis, President of Textile Federation of Greece and Member of the Executive Committee of PAME Georgios Vasilakis, Member of International Department of PAME. The situation that has arisen in the Korean region due to the intervention of the USA in Korean region carried out on the pretext of the presence of nuclear weapons in North Korea is a military interference against a free sovereign state. 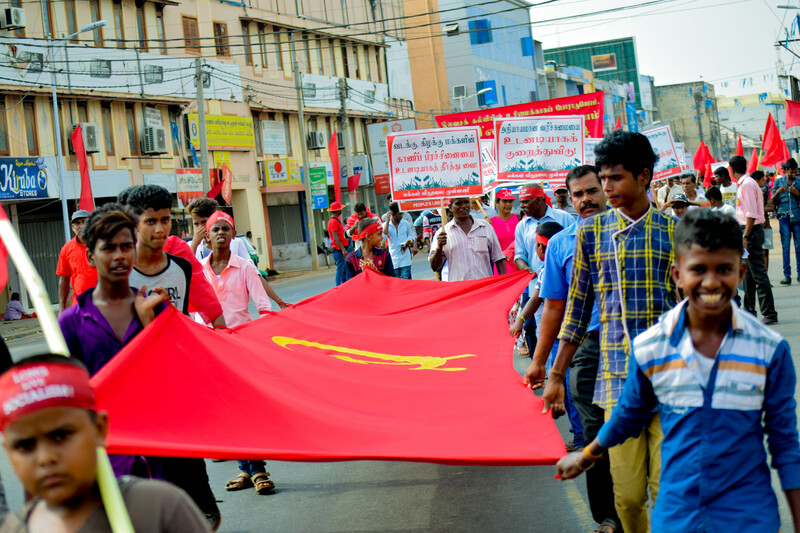 As such, all progressive forces throughout the world should rally against the war fury and provocations of the US imperialism and condemn all interferences being carried out against Democratic People’s Republic of Korea states a press release issued by the JVP. Due to the intervention of the USA in Korean region carried out on the pretext of the presence of nuclear weapons in North Korea has lead to a dialogue regarding a threat of war. North Korea has stated it would not hesitate to attack if its borders are violated. Despite many countries possessing nuclear weapons, only the USA has used them against people in the history of mankind. It is also the country that maintains the largest nuclear arsenal. Also, it was the USA that dropped the ‘mother of all bombs’ – the most powerful conventional bomb in the American arsenal on Afghanistan. When considering Korean region it was the USA that invaded Korea, partitioned it and established US military camps in South Korea and even today more than 50,000 US troops are present in South Korea. Also, the USA with South Korea carries out joint military exercises annually and the immediate reasons for the creation of the war tension in the region was the arrival of a US war ship to the region. By now a US military submarine too has been sent to the area. As such, it is clear that it is the USA that is carrying out provocations. Despite North Korea being a country that has been using nuclear technology for more than 50 years, it has never used nuclear weapons against any country. They have never violated USA borders; nor have they deployed spy services against the USA. Hence, the situation that has arisen in the Korean region is a military interference against a free sovereign state. We could identify several objectives the US imperialism hopes to accomplish through its moves. As such, all progressive forces throughout the world should rally against the war fury and provocations of the US imperialism. Condemn all interferences being carried out against Democratic People’s Republic of Korea! Condemn US war fury which is a threat to world peace! 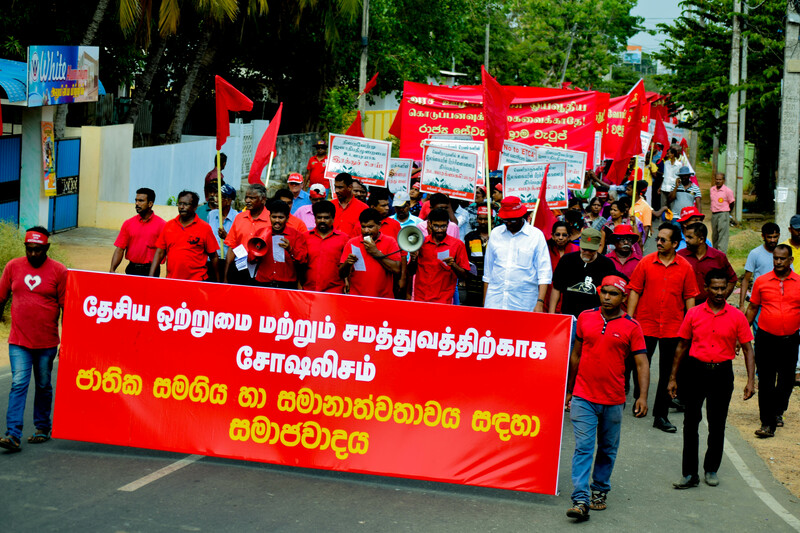 As the government ignored the agitations, protest rallies, demonstrations, protest marches, token strikes carried out throughout the island demanding the SAITM illegal medical degree awarding institute should be abolished, the trade unions of various sectors that oppose SAITN are preparing for a massive strike action involving state and private sectors including hospitals, schools, ports, electricity, CTB, railways between the 3rd and 5th of May say reports. 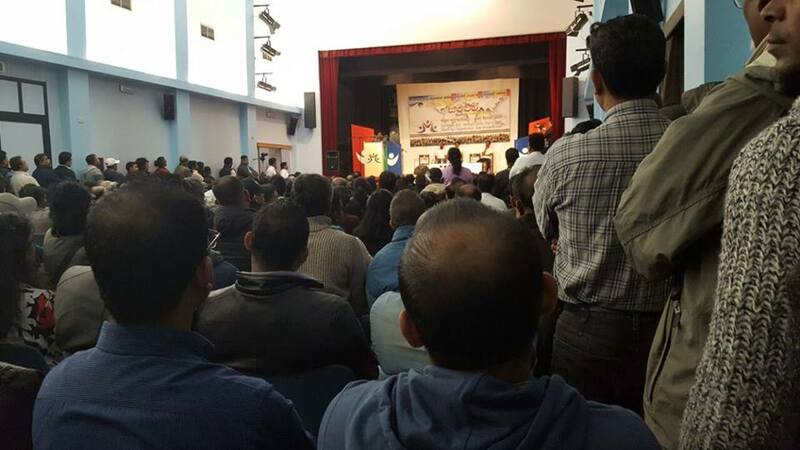 It is reported that more than 160 trade unions will join the action. 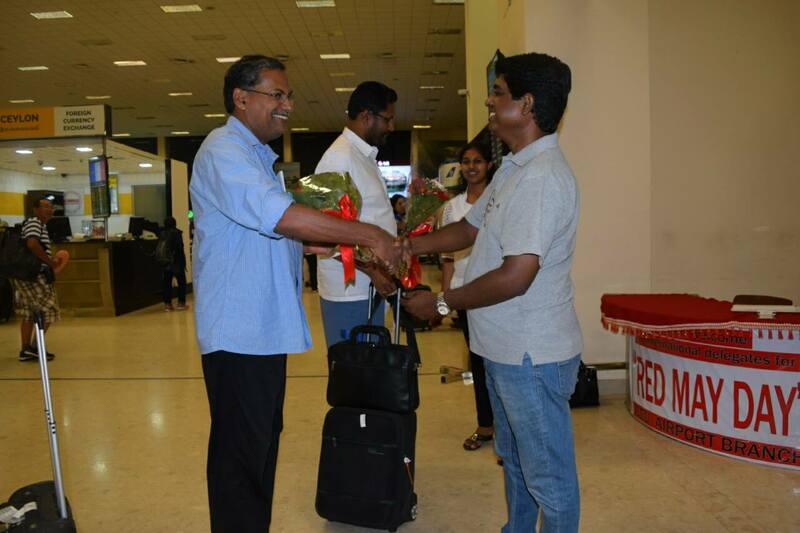 Two more foreign representatives who are participating in the Red May Rally of the JVP, the biggest and the most colourful May Rally and Demonstration to be held in Colombo, arrived in Sri Lanka today (29th). 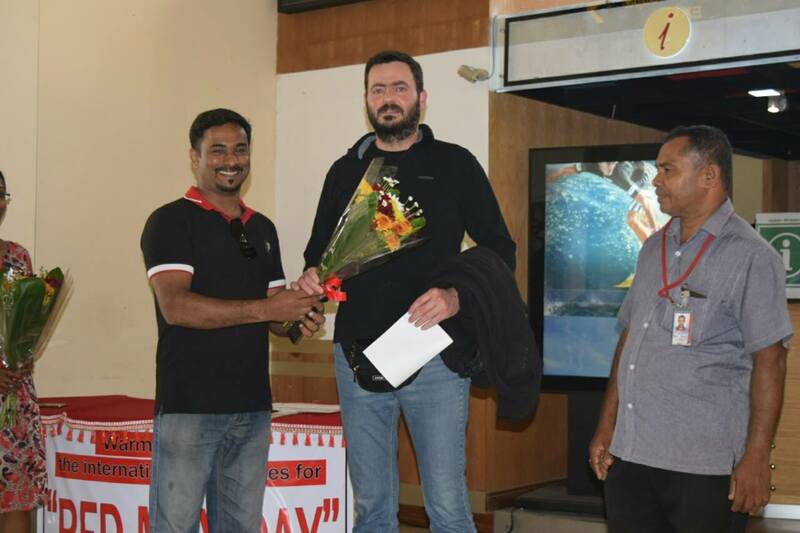 Messrs. Wasiliyos and Georgeus from All Workers Militant Front (PAME) in Greece who have come to participate in JVP demonstration and rally were welcomed by the Member of the Presidential Council of World Trade Union Federation and Central Committee Member of the JVP Janaka Adhikary and the Member of the Airport & Aviation Services branch of Inter Company Employees Union Ajantha Panditharathna. Mr. B.M.W. 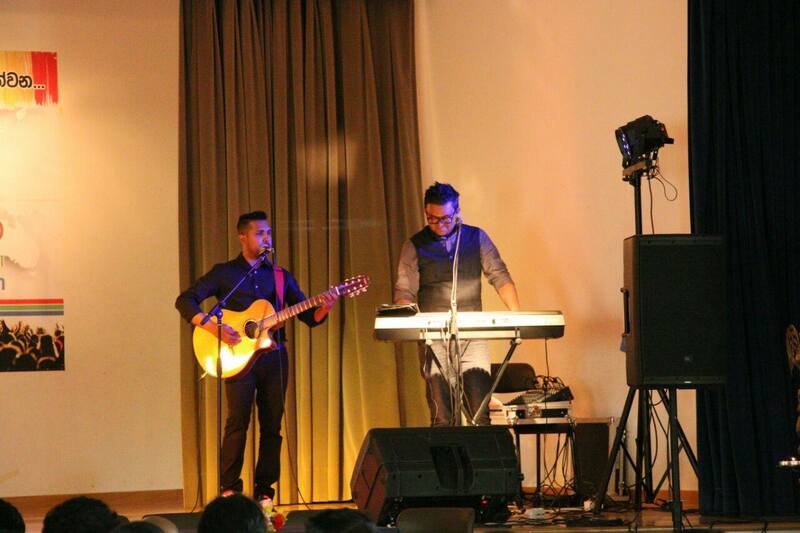 S. Madawala was also present. 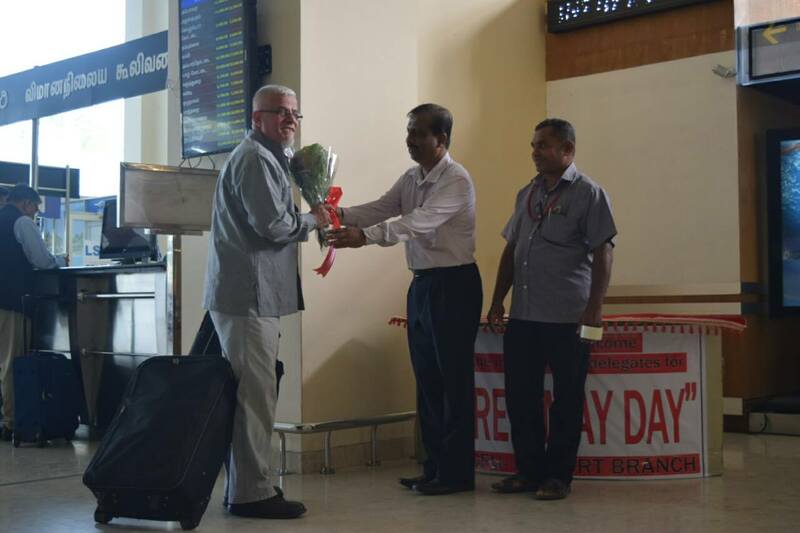 Meanwhile, the representative of the Communist party of Cuba Rafael Sousa who arrived to participate in the JVP May demonstration and rally was welcomed at BIA by the Member of the Political Bureau of the JVP Sunil Handunneththi, Cuba’s Ambassadress in Sri Lanka Ms. Helena Ramos and Members of Inter Company Employees Union Ajantha Panditherathna and B.M.W.S. Madawala. 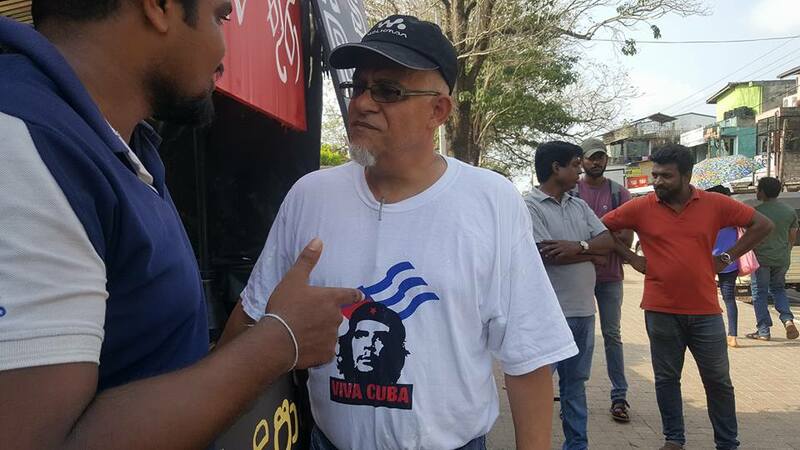 The representative of the Communist Party of Great Britain (Marxist–Leninist) Chammi Ebrahim has also arrived to participate in JVP demonstration and the rally. A press release by the National Trade Union Center (NTUC) and signed by its President K.D. 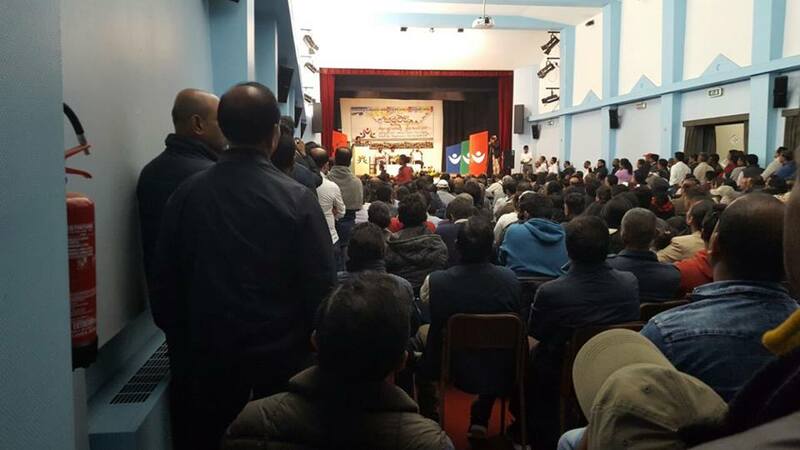 Lal Kantha states “the government is trampling its own tail if it thinks it could threaten, suppress and silence the masses that rally to struggle for justice by deploying a retired senior Army personal. 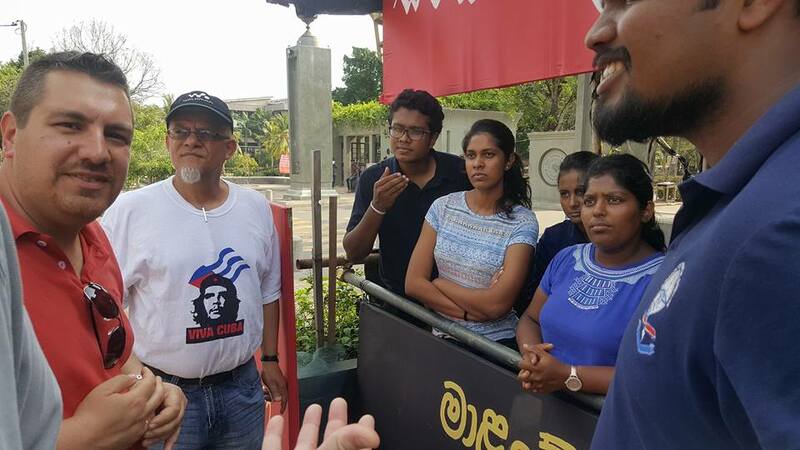 The media has reported that a special Army contingent would be built under the leadership of Minister Sarath Fonseka to suppress agitations and struggles organized by various organizations and groups carried out to highlight their grievances. 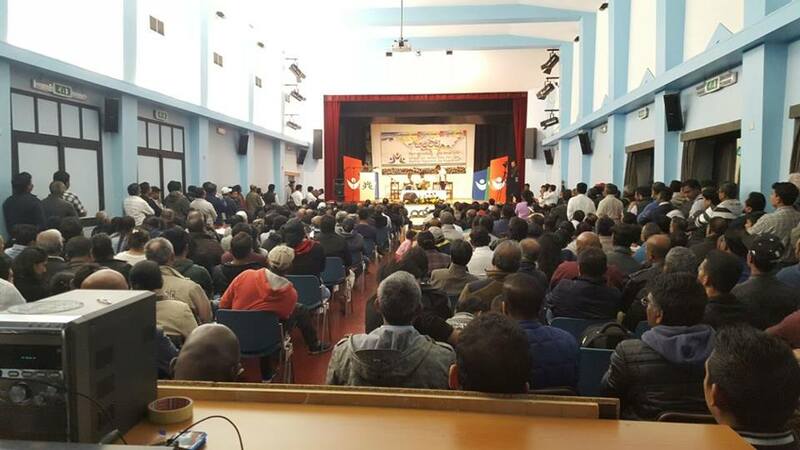 Throughout the country various agitations and struggles are being generated against the government for various reasons. 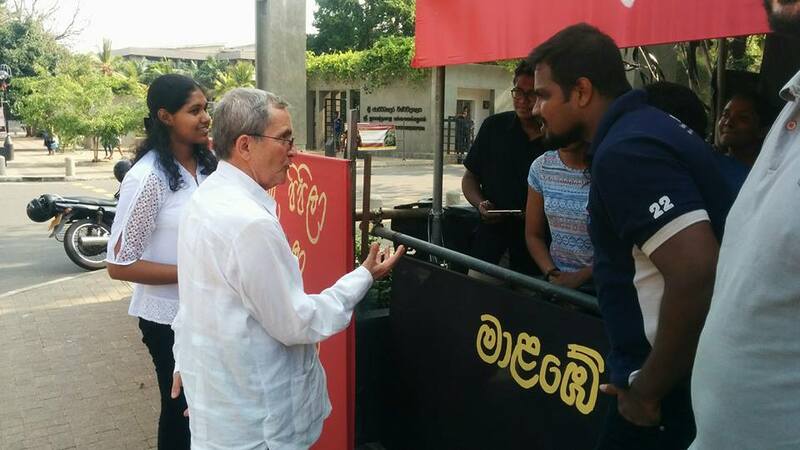 Ranil – Maithri regime that is not prepared to give just solutions for any of these issues has taken an idiotic decision to suppress such struggles. We vehemently condemn the attempt by the government that hides behind the canard that people will be inconvenienced due to the struggles, to suppress the masses who struggle for their just demands. The government is trampling its own tail if it thinks it could threaten, suppress and silence the masses that rally to struggle for justice by deploying a retired senior Army personal. We are not prepared to accept any law, constitution, orders, acts or Army contingent that doesn’t represent justice and equity. We have the ability and the sacred right to fight against such anti people’s moves. Hence, what should be done is to give accepted solutions for just grievances of the masses. However, if the suppression is unleashed instead, the government should take the responsibility of all the resulting consequences and would like to emphasize that we would unconditionally give life to the struggle to send the government home. 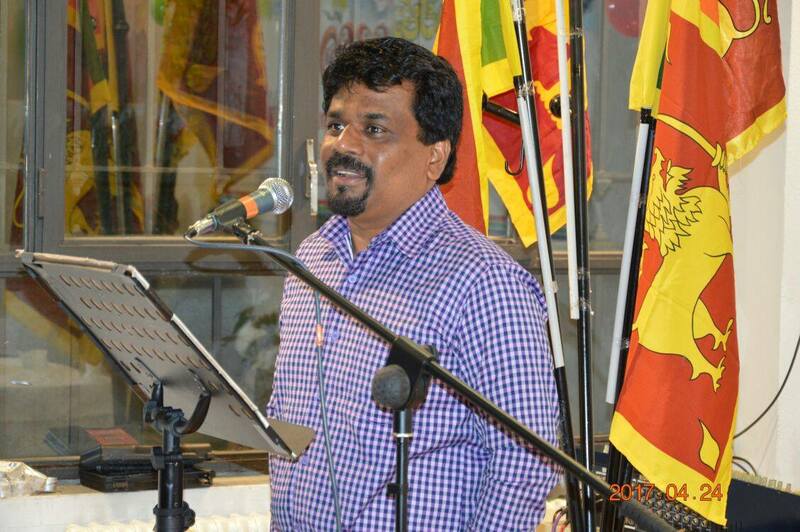 The president never asked him to take over a higher position in the security sections in the country and to establish discipline in the country says Minister of Regional Development Field Marshal Sarath Fonseka adding that what the co-cabinet spokesman Rajitha Senaratna says is not true. He said the President never made such a request from him at the cabinet meeting held on the 25th. 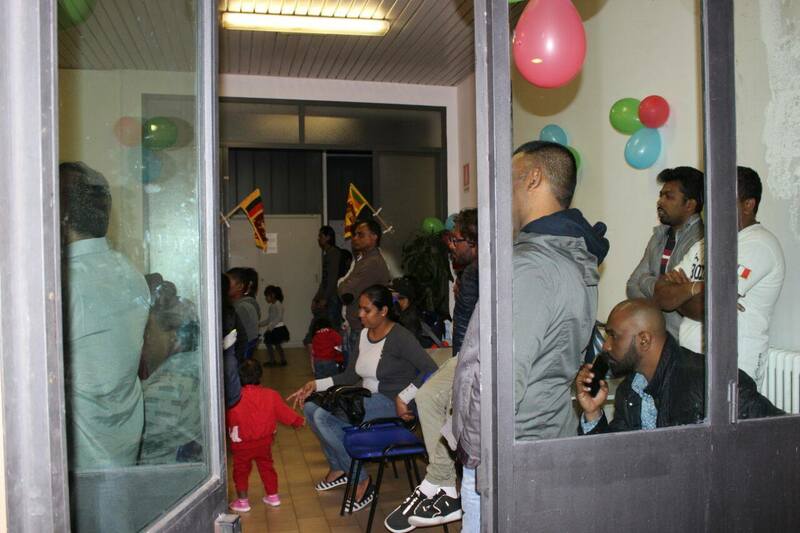 Field Marshal Fonseka said he was never given any responsibility about security and added that the security sections inn the country are under the President. 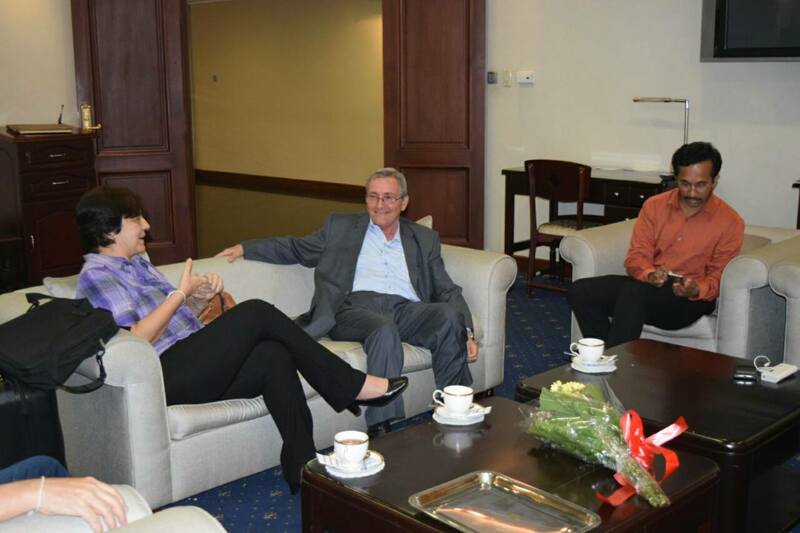 However, the President has proposed to establish and hand over to him a new organization to combat activities of sabotage carried out by certain groups admitted Field Marshal Fonseka. He said the President made the proposal to establish a certain organization to carry out essential services at emergency periods and during various conflicts. He said in such instances the relevant ministry, police and security services would join the new organization but his new position would not be one that gives orders to security services. He said the new position is only a proposal but he would accept it if he is asked to. 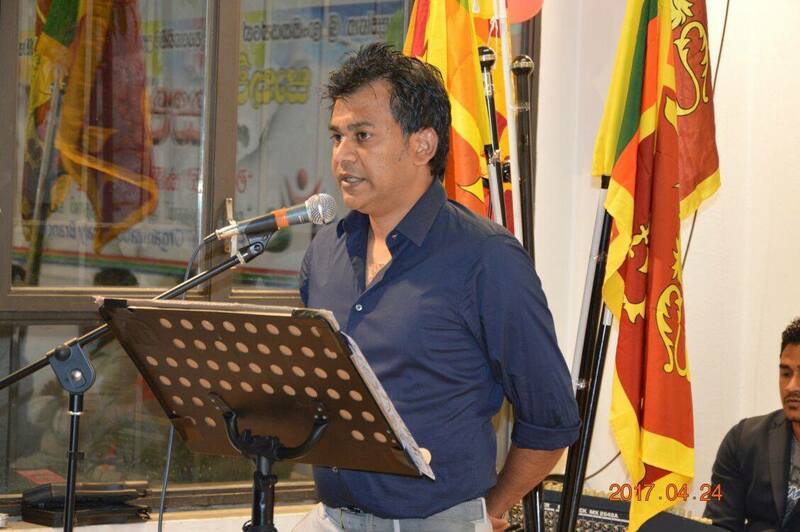 The UNP and the SLFP serve liquor to their members to make the May Day a tamasha on the road and insult the May Day says the General Secretary of the JVP Tilvin Silva. 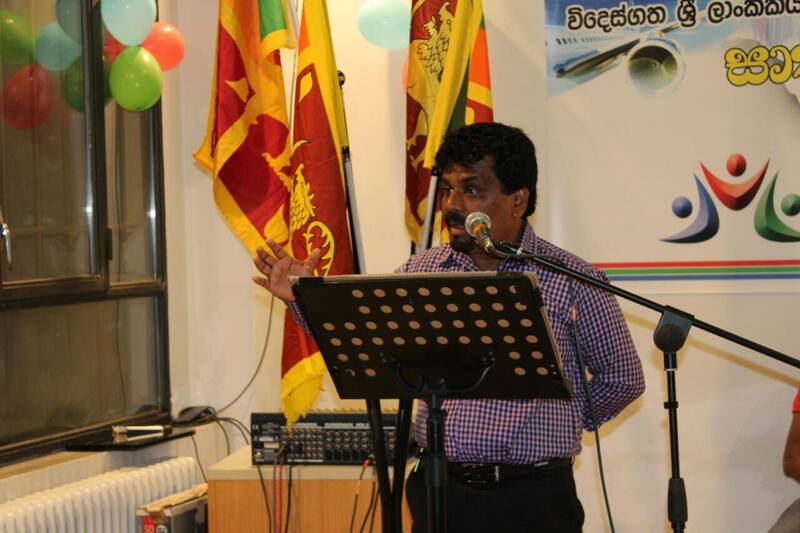 He said this at a press conference held at the head office of the JVP today (26th). 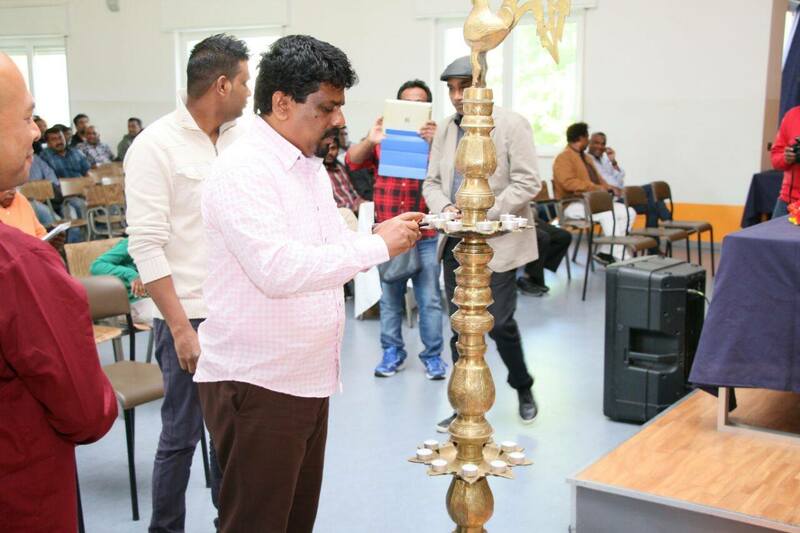 The Information Secretary of the party Parliamentarian Vijitha Herath was also present. 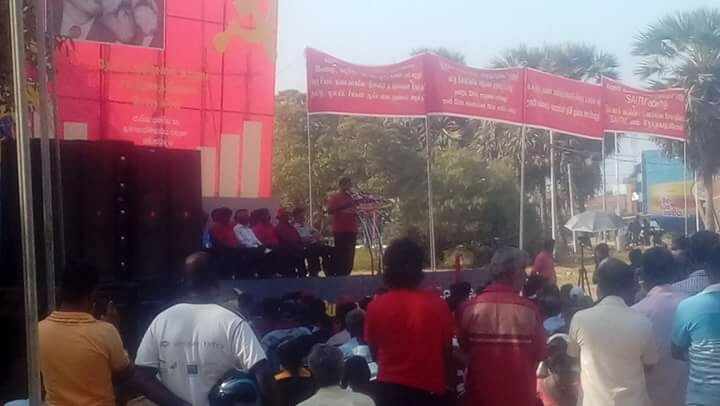 Speaking further Mr. Tilvin Silva said, “The May Day this time is important to the working masses in this country as well as for the JVP. 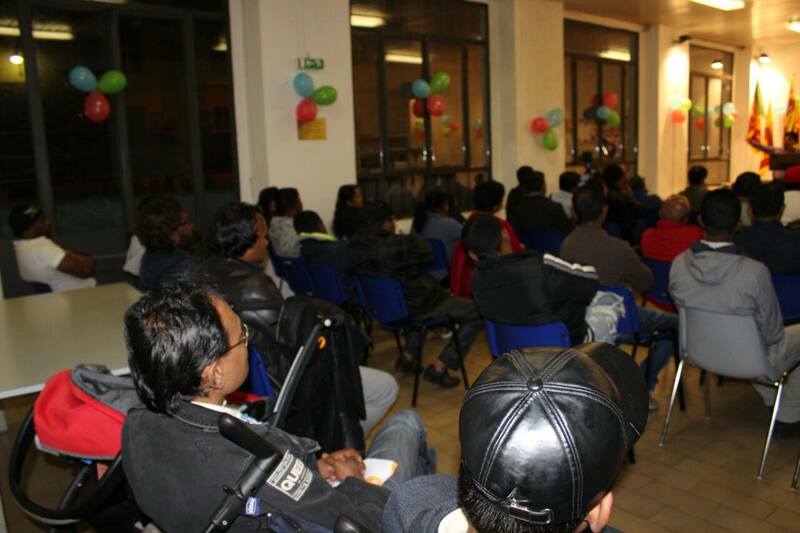 At the moment the government and the society are confronted with economic, cultural and social crisis. As such, the country and the people expect a change at this moment. It is a moment that needs a change in the administration. 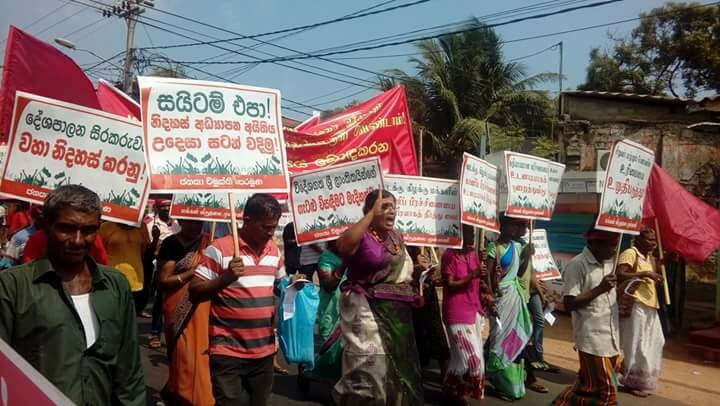 The JVP has organized the May rally this time with the intention of rallying people’s forces for such a change. 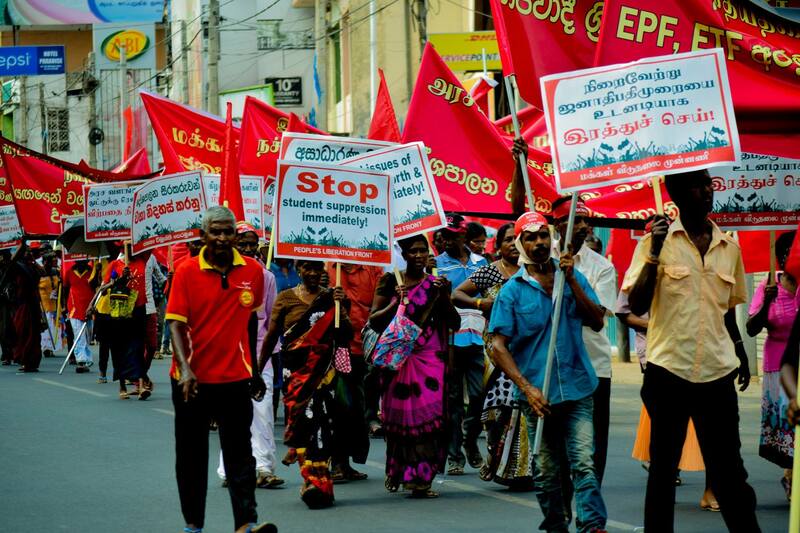 This time the JVP has organized two May rallies. 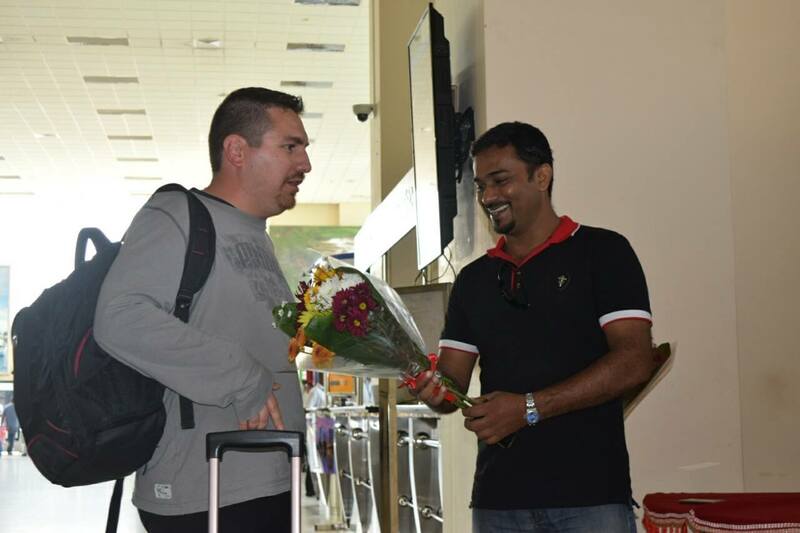 One would be held as usual in Colombo and the other will be held in Jaffna. 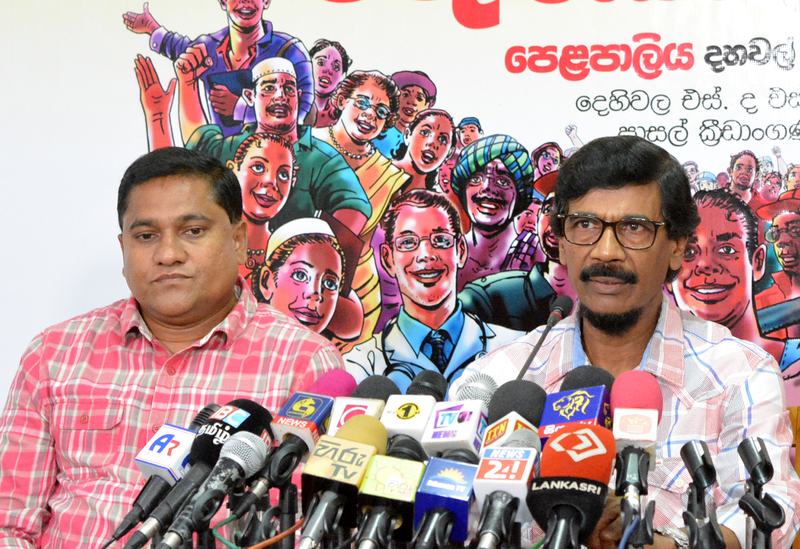 The rally to be held in Colombo will be held under the theme “Red May Rally to Build People’s Power for Economic Development, Social Justice & National Unity” and will be held at BRC Grounds. 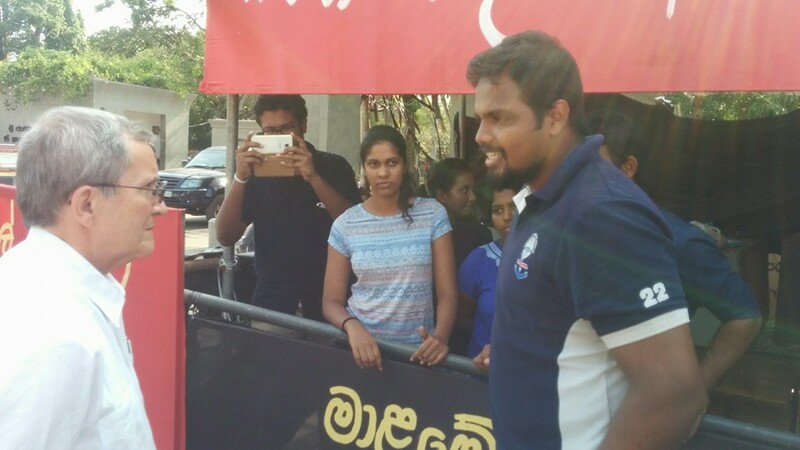 The demonstration will commence from S. de S. Jayasinghe Grounds at 12.00 noon. 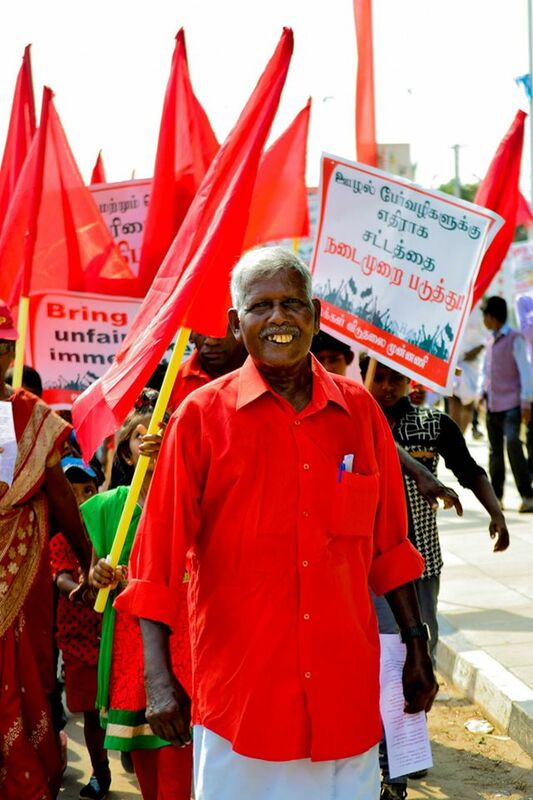 The May Day Rally in Jaffna will be held at Mutraveli Grounds in Jaffna on 30th April at 3.00 p.m. 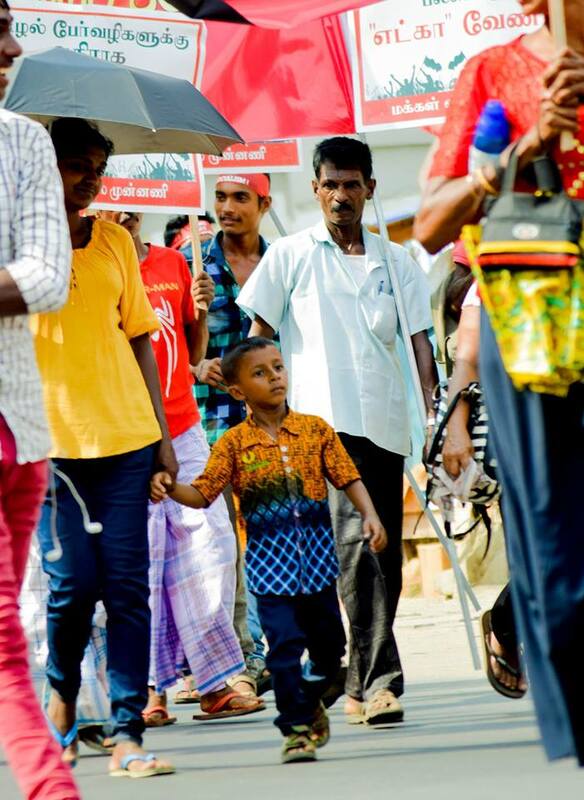 The demonstration will commence from Jaffna Railway Station at 1.00 p.m.
Fishermen’s and farmers’ organizations, university dons, artistes and several civil organizations are expected to join the rally and the rally will be held under the theme “Socialism for National Unity’. Today, a main issue is distorting the International Workers’ Day by certain political parties and use it for their petty interests and for election projects. 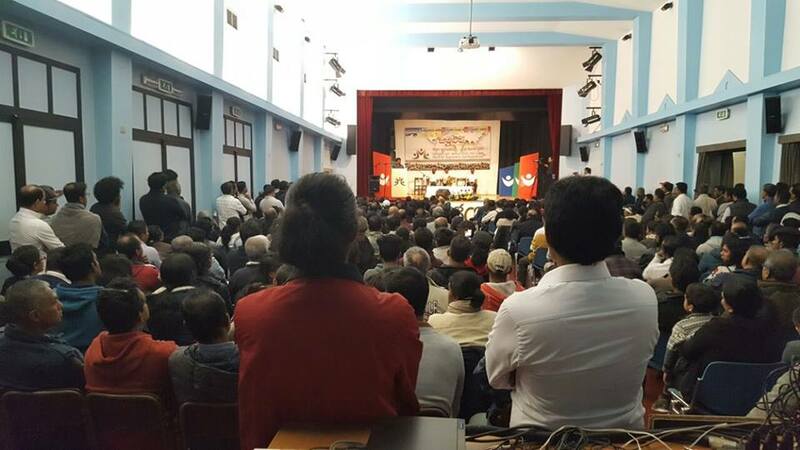 These parties distort the May Day, violates its principles. It is an insult on the working masses. The same political parties that exploit working masses have made it a tamasha. 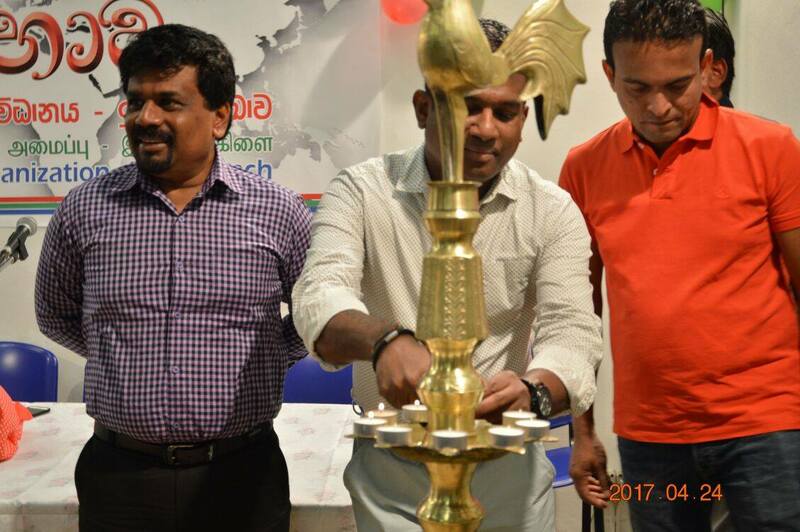 The UNP gets its members to wear green and the SLFP members are made to wear blue, supply them liquor and get them to dance on the streets. 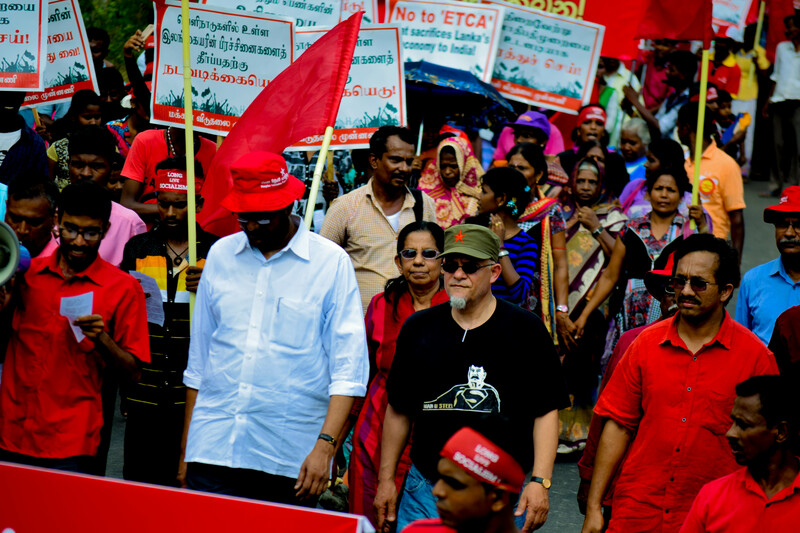 They wear t-shirts and caps with ministers’ and organizer s’ names to distort the May Day. Only symbols of the working masses should be displayed on the May Day. The leaders who represented the working masses should be remembered. We call upon the downtrodden masses not to contribute to distort the true meaning of the International Workers’ Day. May Day is not just another day. The Valentine’s Day could be commemorated without any party differences. It is the same with the ‘Mothers’ Day. However, May Day doesn’t belong to everybody. It belongs to the working masses and the political parties and organizations that struggle to win rights of the working masses. The May Day was created with the demonstrations and agitations that arose with the development of the capitalist system in the 1880s. Workers had to work in factories for 12 to 14 hours. They did not have time to spend their lives properly. 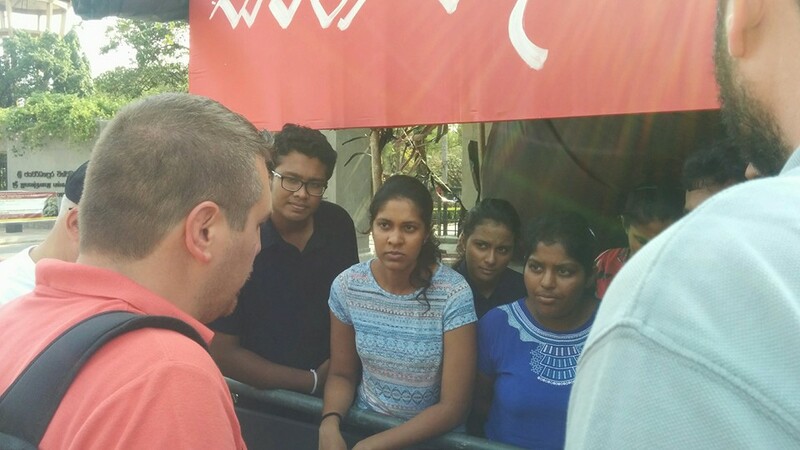 Workers took to the streets against these conditions. They demanded an eight hour working day. On 1st May, 1886 40,000 workers took to the streets and held a demonstration. The police attacked the workers. About 9 workers were killed. Several others were arrested. They were tried on false accusations and were hanged. May Day is held to commemorate the workers’ leaders who shed their blood to win an eight hour working day. The colour of the May Day is Red. On 1st May, 1886 workers took to the streets holding high the white flag, the symbol of peace. The police shot at the workers and the white flags of the workers were soaked in red blood of the workers. The colour of the May Day is the colour of the blood shed by the workers. 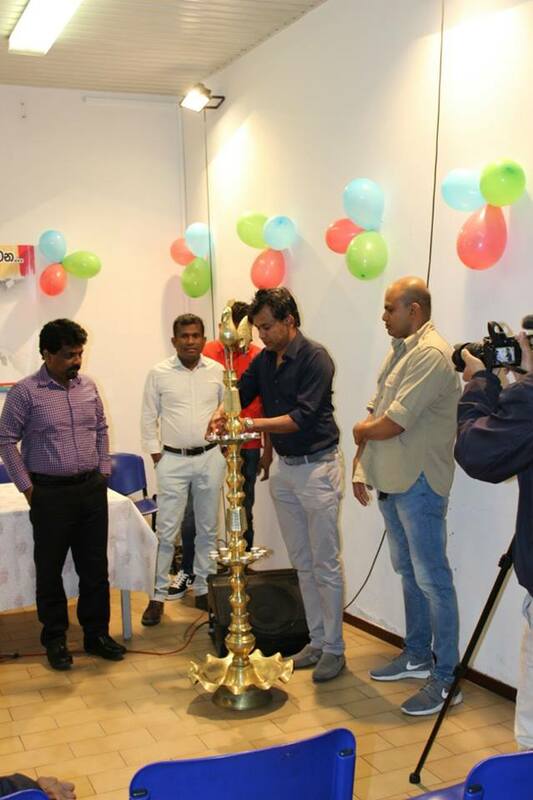 The likes of Ranil try to make it green while the likes of Maithri want to make it blue. Some say May Day doesn’t belong to political parties. It is not a complete truth. Capitalist political parties have no right to commemorate the May Day. 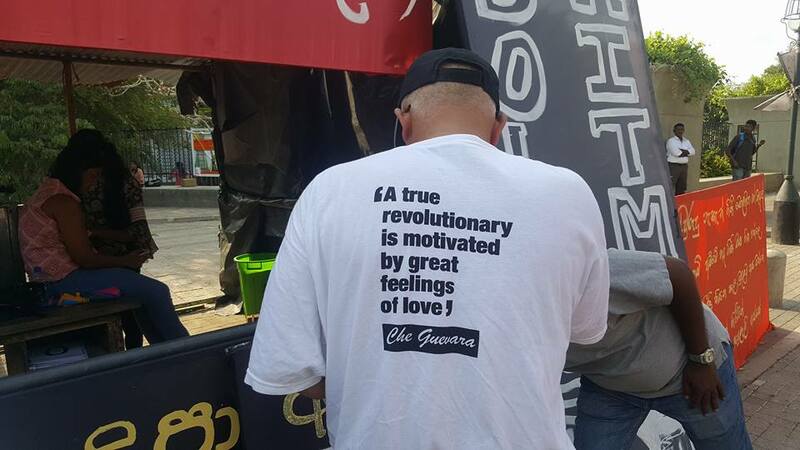 However, the left movement has a right. It is the Communist parties in the world that took the initiative to name the May Day. It is the 2nd International of Communist Parties that was held in 1889 that decided to commemorate the May Day from 1st May, 1890. Hence, it is not a day that belongs to the capitalist class. 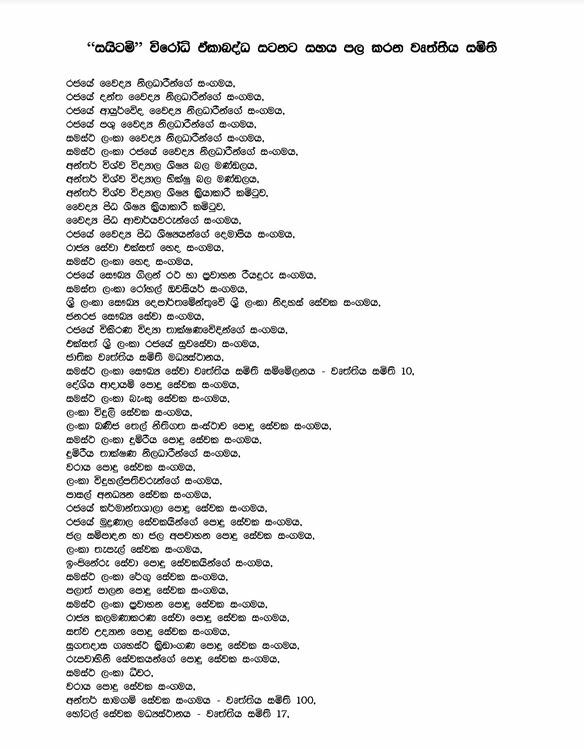 Today the UNP talks of commemorating the May Day. 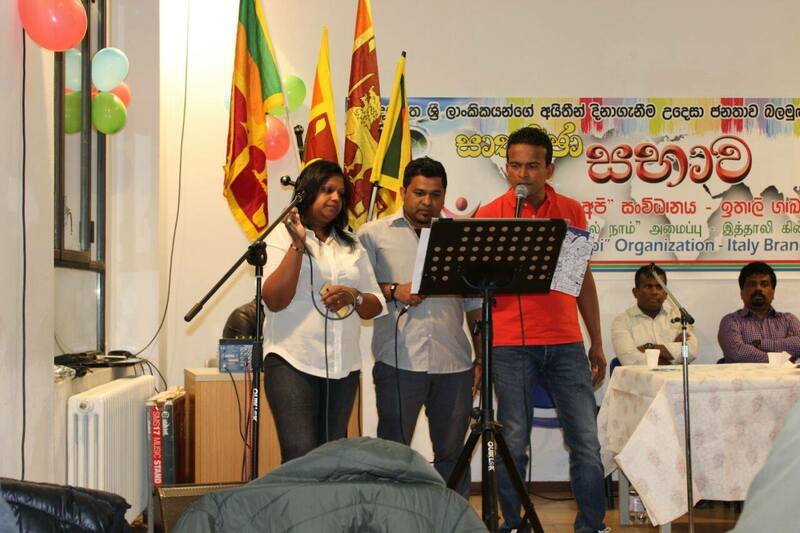 The SLFP has been divided into two and talks of holding the May Day at two places. People are asked to wear green. Others are asked to wear blue. 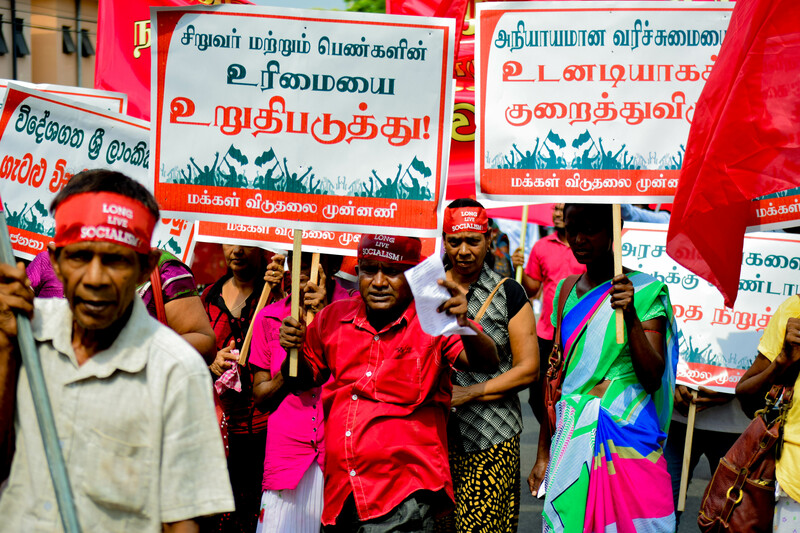 The parties that grab rights of the working masses are attempting to commemorate the May Day. How could the government that attempts to slash and abolish workers’ pension commemorate May Day? How could the previous government that gambled with EPF funds of the 6 million private sector employees and the present government that used EPF funds for bond scams commemorate the International Workers’ Day? How could the government that is dumb when workers in the estate sector ask for a Rs.1000 daily wage commemorate the May Day? 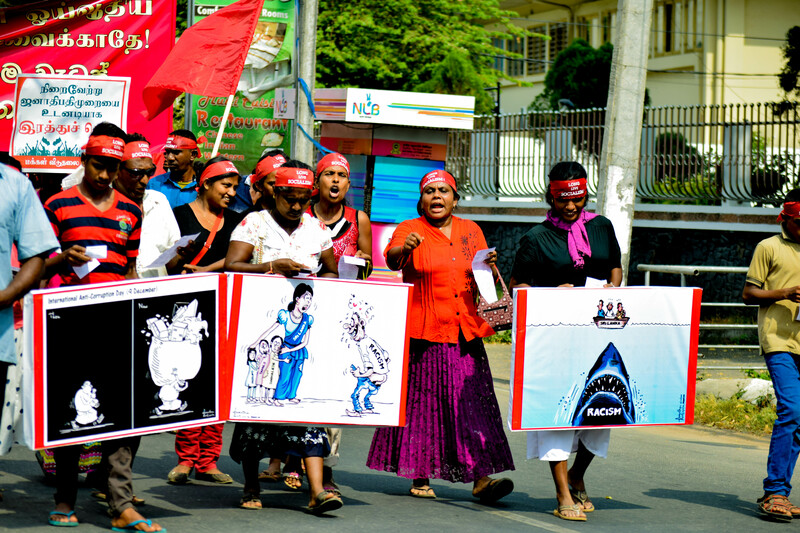 Working masses are attacked when they agitate for their rights, assaulted and sacked. 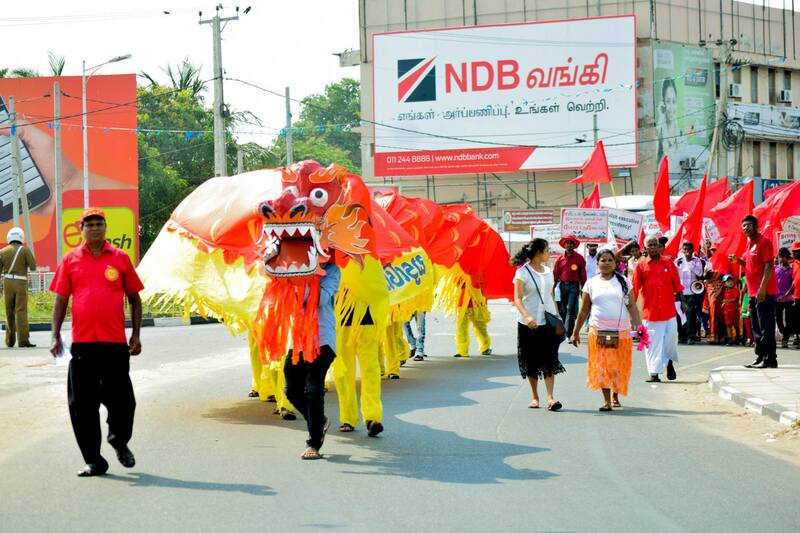 How could such a government commemorate the May Day? 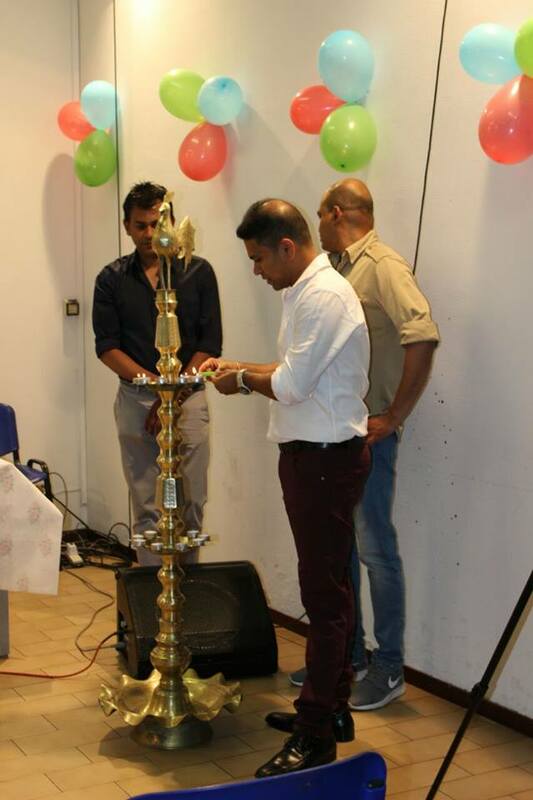 Aren’t the UNP and the SLFP ashamed to commemorate the May Day? Due to the moves of this government agitations and protests increased. Instead of finding solutions for agitations the government is trying to impose laws to suppress agitations and protests. They are trying to name a date and places to agitate and protest. 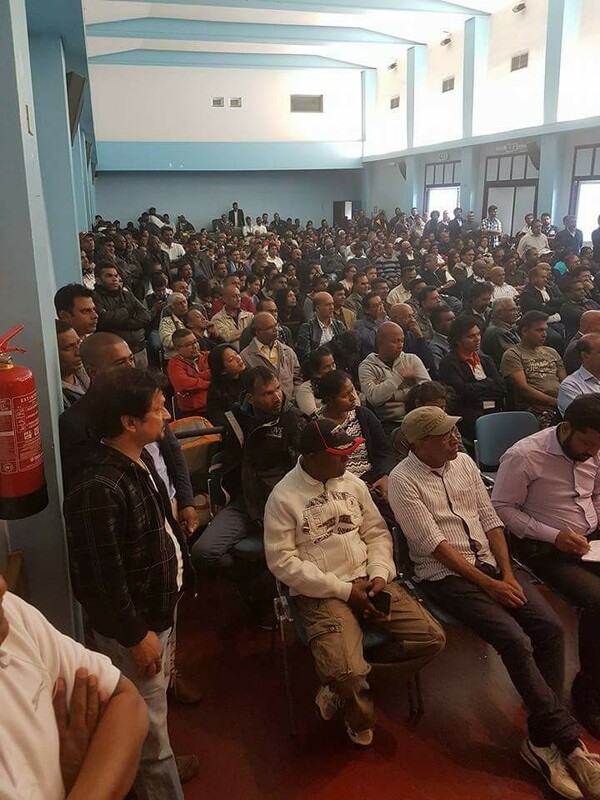 The government is attempting to suppress agitations as it cannot confront agitations and protests. The government that attempts to deny the right of the working masses to agitate and demonstrate trying to commemorate the May Day is outrageous.The May Day is not a day of a tamasha to consume liquor and dance on the streets. May Day should be saved from political parties that make it a tamasha. 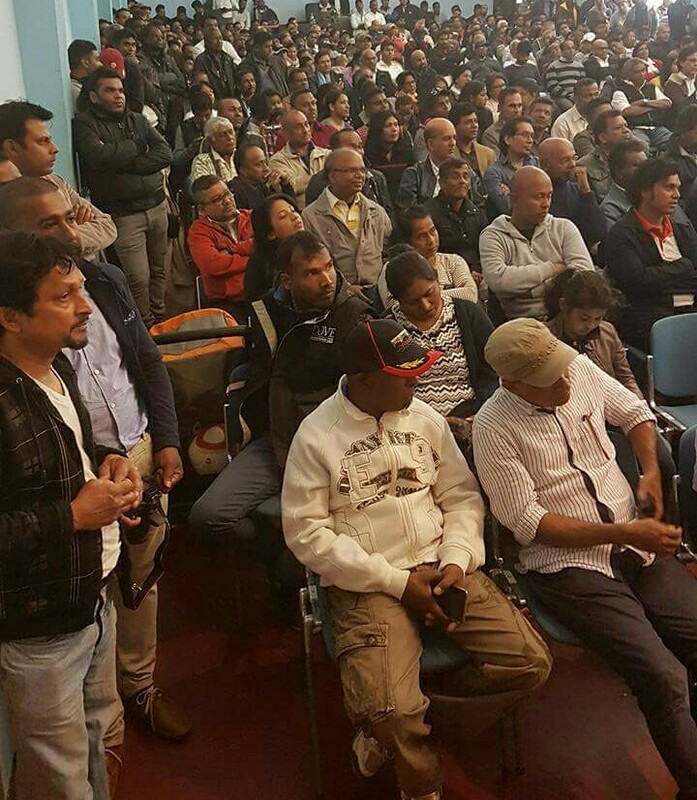 The attempt to distort the objectives of the May Day should be defeated. 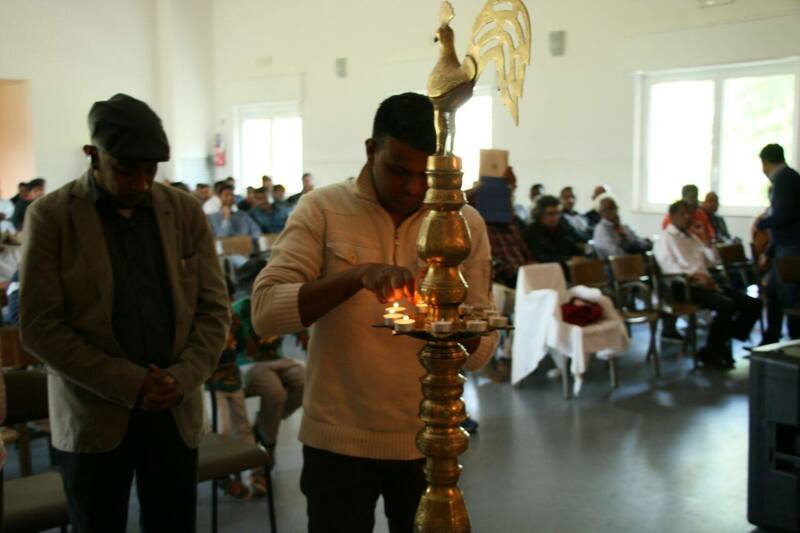 This May Day is special for the JVP as well as the people in this country. There is a socio-economic-political crisis in the country. The government has not been able to protect rights of the people. The production sources of the country that bring income have been broken down. Tea, rubber and coconut do not bring income as we were taught at school. The expenditure has increased but the income has gone down. The country has been trapped in a debt trap that several generations would not be able to repay. The debt mountain is larger than the Meethotamulla garbage dump. 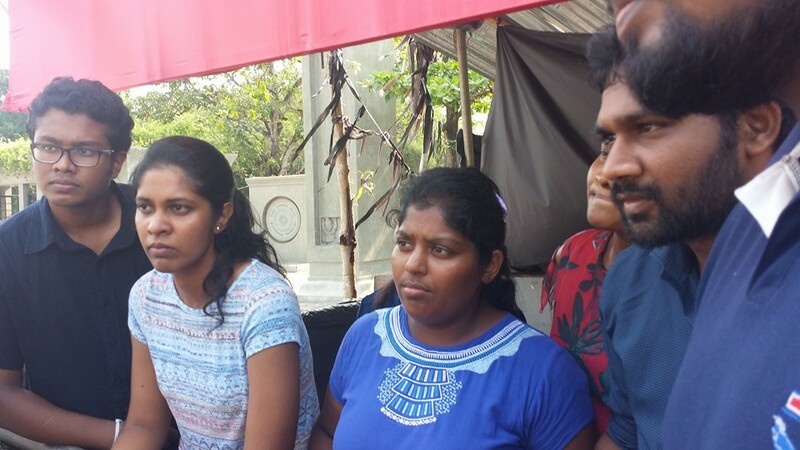 Meethotamulla garbage dump collapsed on the heads of Meethotamulla people. The debt mountain is above the heads of 20 million people. It is the same people who amassed the garbage dump who amassed the debt mountain as well. However, it is the people in this country who are being harassed due to the garbage dump and the debt trap. 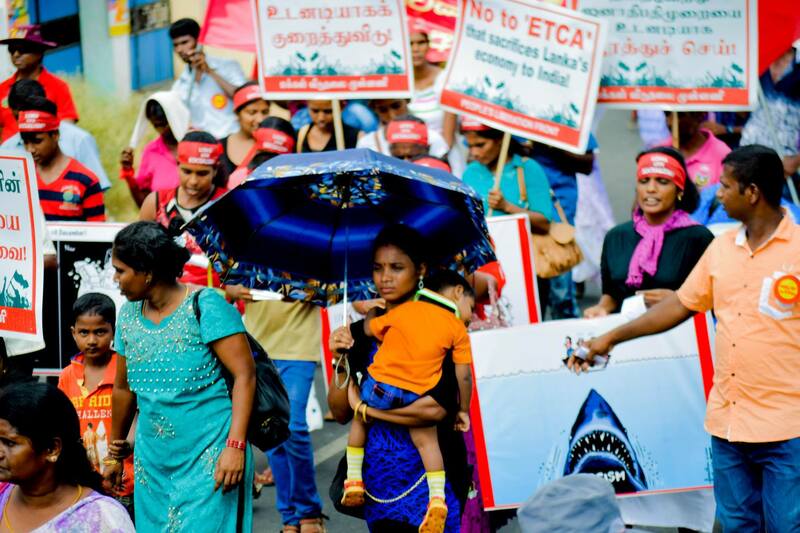 The government’s solution to save itself from the debt trap is selling Hambanthota Harbour, handing over 15,000 acres of land to foreign companies, give India the very valuable oil tank farm at Trincomalee, selling graphite mines and selling whatever valuable resources of the country. This bankrupt economy cannot go forward further. Our country needs an alternative economic system. For that a new government must be formed. This government wastes money of our country. Money is wasted for ministers’ vehicles, buildings and ceremonies. Hence, a better economic system should be established in the country. This is why we selected our theme. The country that doesn’t have any economic development should have a system that brings economic development. Our country that doesn’t have social justice should have social justice. Also, national unity should be established. For that people’s forces should be made ready. A massive people’s power should be developed. 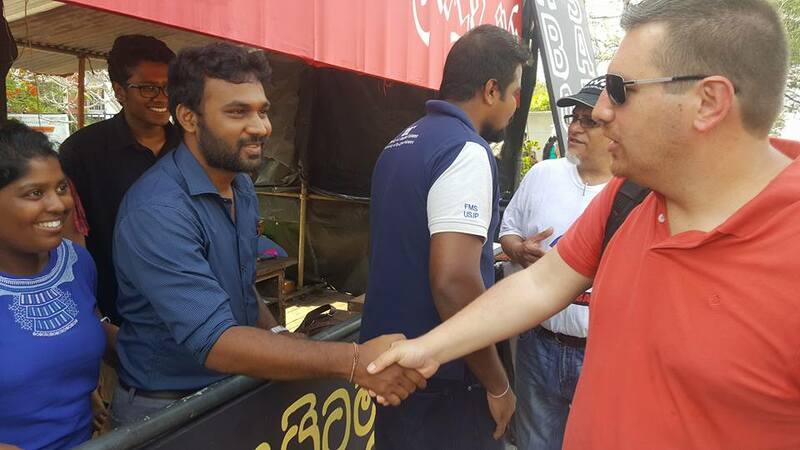 The JVP May Day is not a day where intoxicated people dance on the streets with photographs of ministers and electoral organizers. 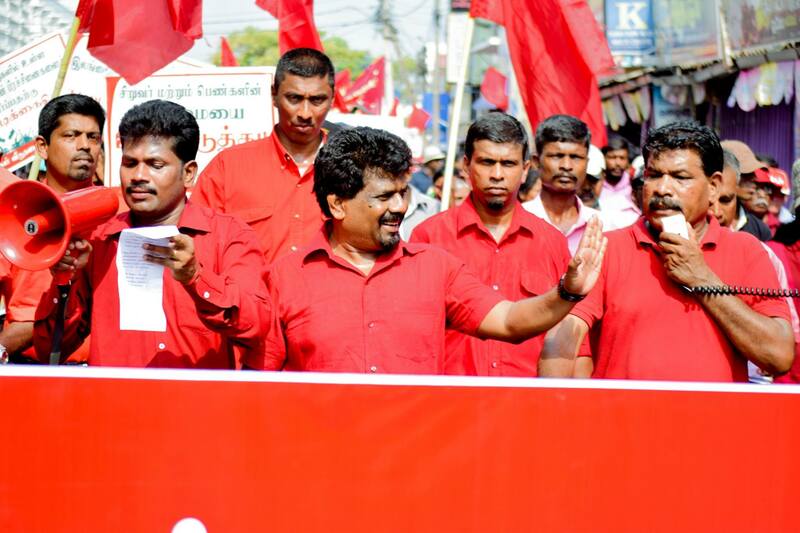 It is the JVP that commemorates May Day with the most disciplined, organized and the most colourful manner. This time too we are commemorating the May Day in the same manner. We are going to commemorate this May Day with a massive crowd unprecedented in the history of May Days in our country. The biggest trade union in the country consisting of trade unions in the state, private and estate sectors, the biggest farmers’ organization, the organizations of fisher folk, youths, students, women will join our May rally. 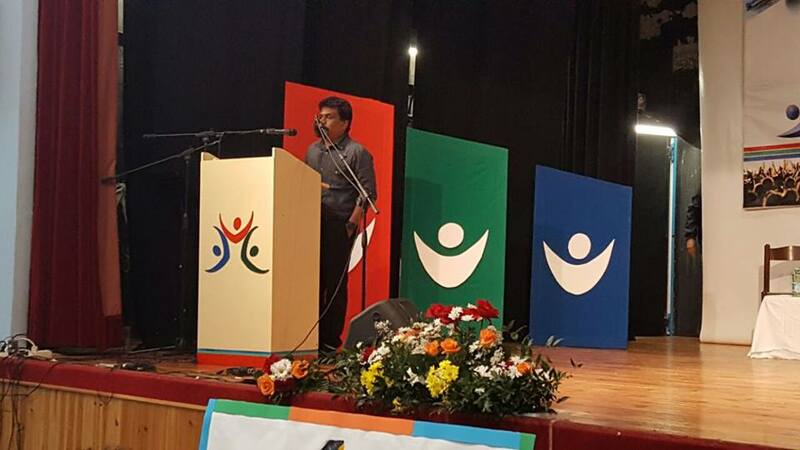 Also, a most number of international Communist organizations will join the JVP May rally. 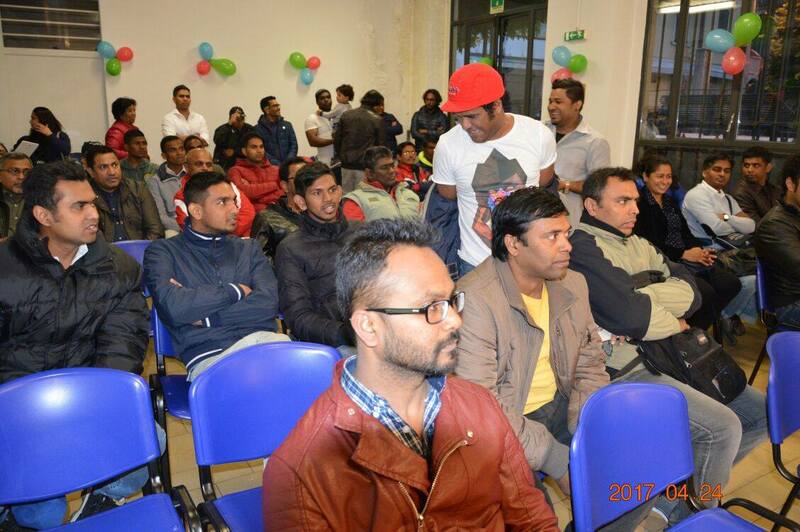 Representatives of Communist parties in Cuba, India, UK and representatives of left movements in Europe would join JVP May rally this time. Also, we have taken measures to give the May demonstration a new appearance. We make an open invitation to all downtrodden masses, youths, women, students, artistes, journalists and all those who struggle against injustice to come to BRC Grounds. We invite them to join forces that could change this country. 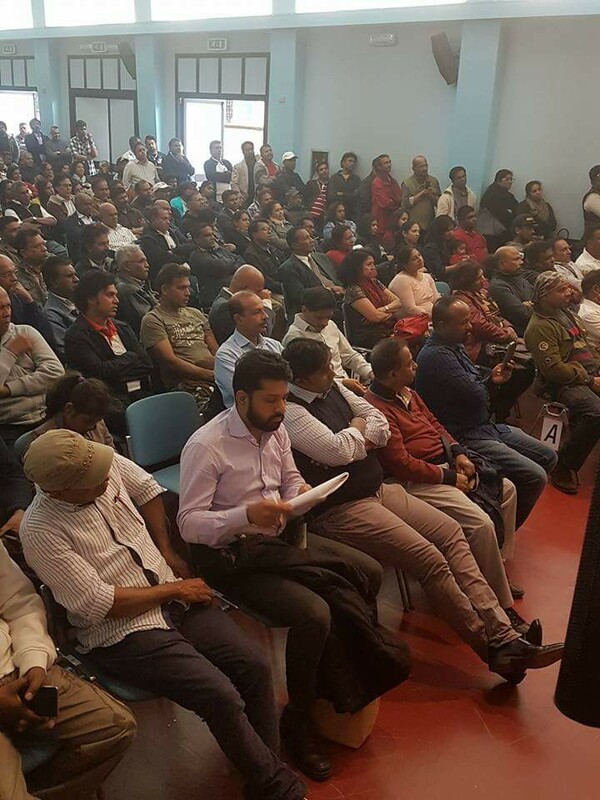 Responding to questions raised by journalists Mr. Tilvin Silva said, “This government can never solve issues of the people. This is why they are trying to suppress people’s agitations, That’s why they come up with various laws, a date and a place to agitate and push agitations and protests to a corner. 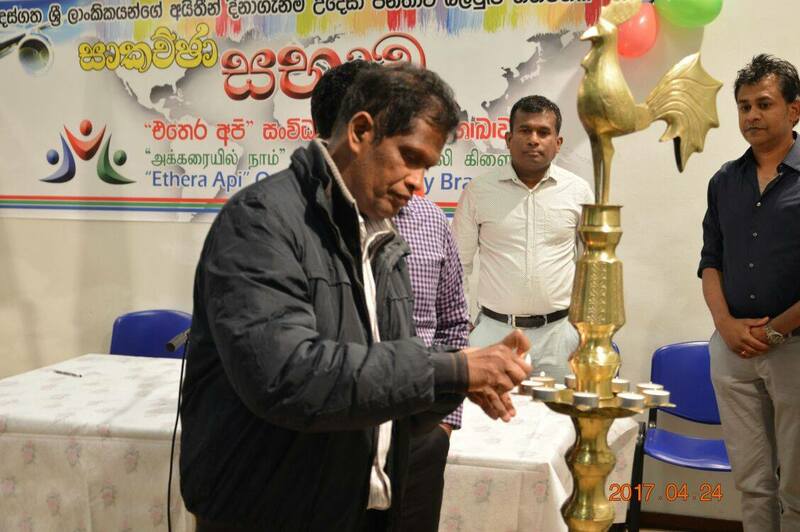 When the UNP confronts crises, people like Sarath Fonseka are used to see whether they could come out of it. We warn this government. Don’t try to cure diarrhea with loin clothes. If they try to stop agitations a new agitation will have to be carried out to win the right to agitate. 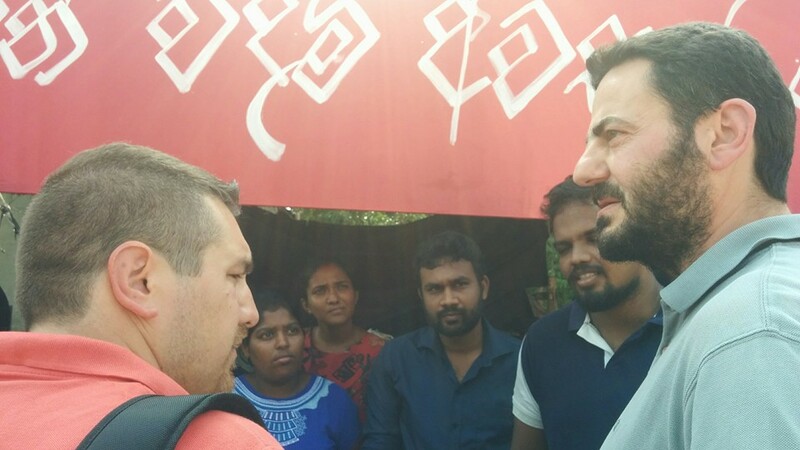 The people and the JVP would not withdraw from agitating just because the government tries to suppress them. In 1977 when the UNP came to power its party members, municipality employees were given weapons to attack agitators and protesters. This government has neither the right nor the strength to do such acts now. This is an impotent government. Also, this government should remember the mandate it received. This government was given power to have good governance. If it tries to suppress masses it would learn a lesson like the previous government did. 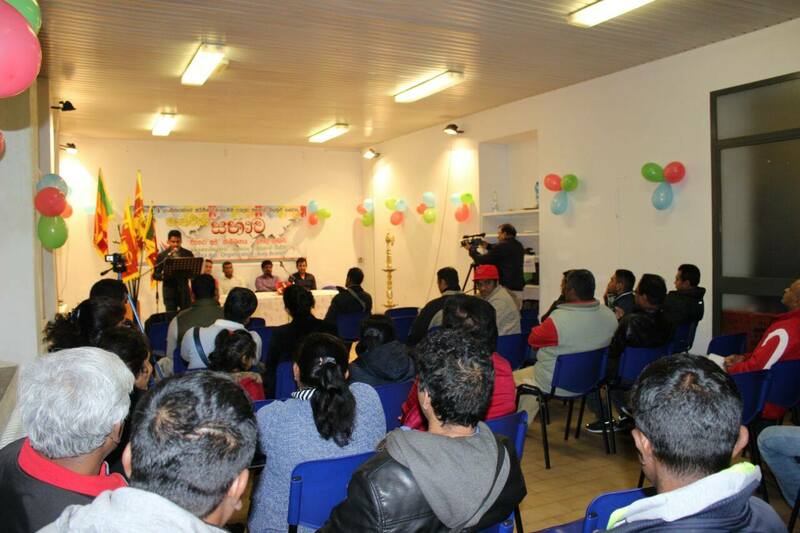 The Leader of the JVP Anura Dissanayaka visiting Italy on an invitation from the Committee in Italy of the ‘Ethera Api’ organization addressed summits held in several cities in Italy. 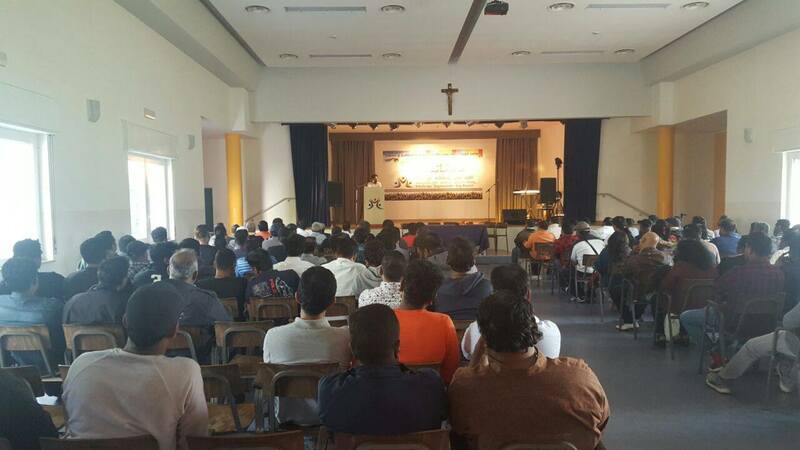 A summit was held in Verona on 23rd and another in Como on the 24th and another summit was held in Milano yesterday (25th). 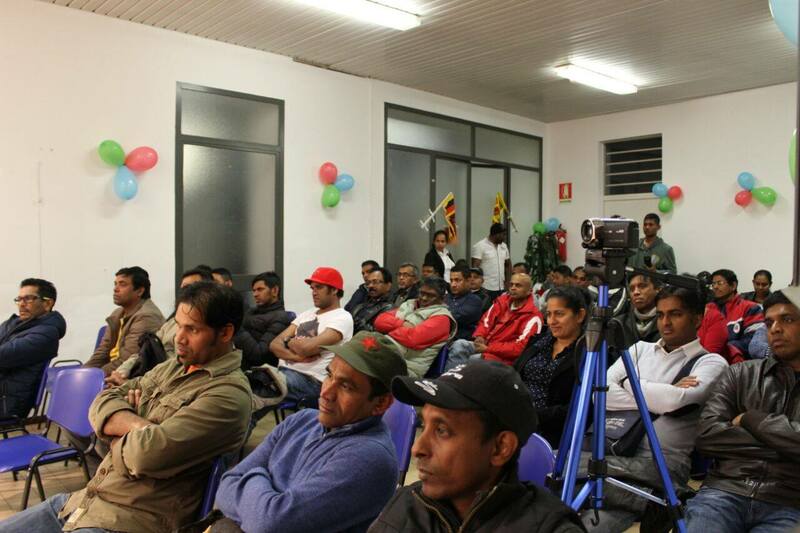 A large number of Sri Lankans participated in all the summits. The incumbent of Verona Temple Ven. 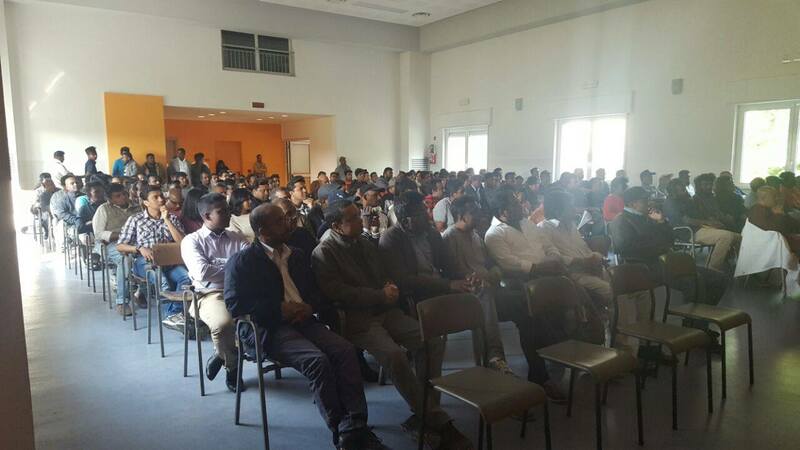 Udawalawe Gnananda Thero, representatives of mass organizations and a large number of Sri Lankans participated in the summit organized by Sri Lankans in Verona and adjacent cities. 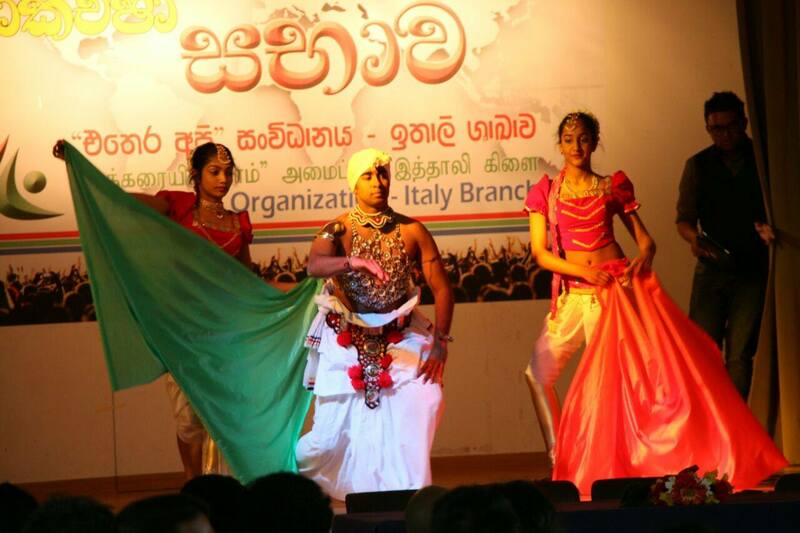 The dance troupe of ‘Sulalitha’ Dance academy and the orchestra from ‘Ray Seventeens’ presented cultural items. 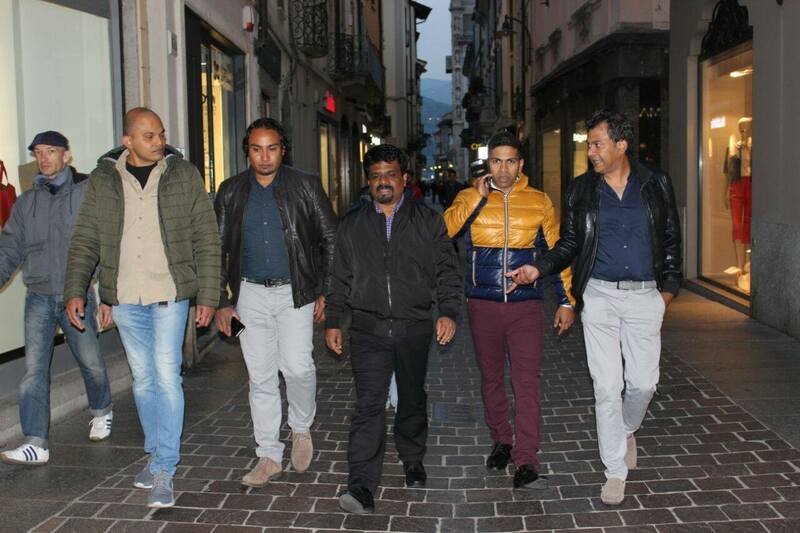 A considerable number of Sri Lankans participated in the summit held at Como on the 24th despite it being a working day and Como has a small contingent of Sri Lankans when compared with other cities in Italy. 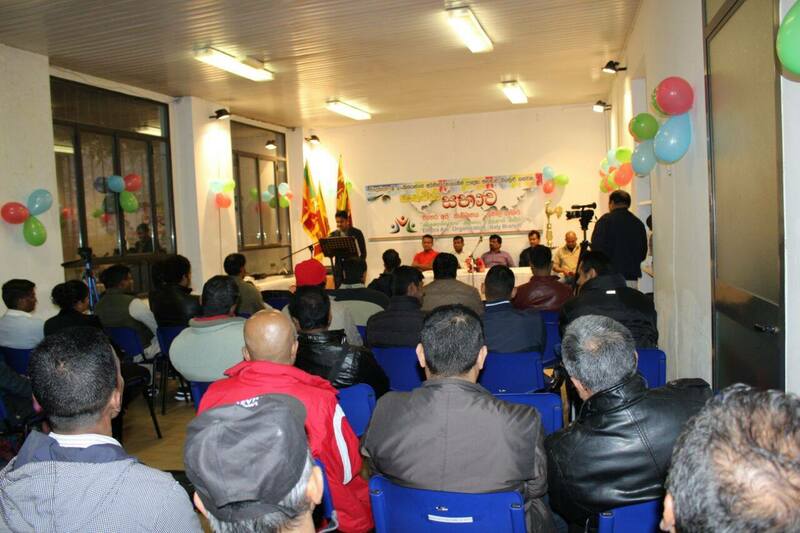 The summit held in Milano yesterday was participated by a large number of Sri Lankans.